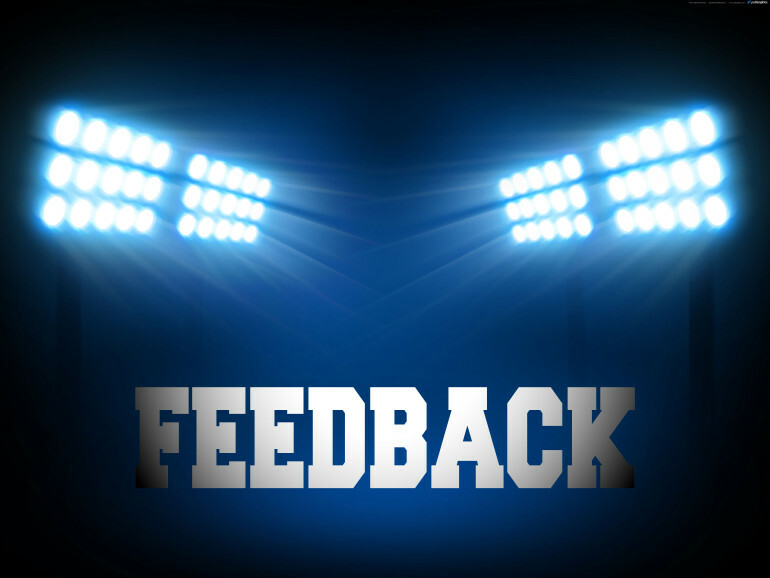 I believe my love of feedback started when I was developing in ROTC to be an Army Officer. In ROTC we had to complete the Cadet Self-Assessment Reports or yellow cards. These yellow cards were required after every mission and assignment when we were in some form of a leadership role. Yellow cards were a summary of our performance while in the leadership role and was detailed using the well-known STAR model, where we would describe the Situation, assigned Task, the Actions taken, and the Results. At the same time the student cadre or leader would complete a blue card called the Leadership Assessment Report. This report was where they rated behavior actually observed and recorded their counseling, and would measure certain attributes, skills, and actions. As a cadet and as student cadre I experienced both sides of giving and receiving feedback. This practice, however, did not end with my commissioning. This practice of feedback continued through my time in all my professional military schools. Whether it was at the Infantry School or at the Combined Logistics Captains Career School doing peer evaluations through leading soldiers, teams, and units on active duty with counseling, evaluation reports, and pulse and climate surveys. Feedback was a constant and always encouraged. I encouraged it despite rank and protocol, as long as it was done respectfully and with the proper intent. The AAR is a professional discussion of an event, focused on performance standards, that enables soldiers to discover for themselves what happened,why it happened, and how to sustain strengths and improve on weaknesses. It is a tool leaders and units can use to get maximum benefit from every mission or task. The AAR in a corporate or professional setting can be executed in the same way, as a structured debrief process for analyzing what happened, why it happened, and how it can be done better by the individuals involved and those responsible for the project , event, or situation. Allow yourself to be emotional. Deal with your emotions, allow yourself some time to be mad, angry, sad, upset, …., and then comeback and deliver the feedback. Use that time to also prepare, write down what you want to say, focusing on what the things said or done, and as a result how they made you feel and the outcome. Early in my career I learned the valuable lessons and gifts of feedback. Feedback can be one of the most powerful tools for anyone to learn how to use. It might be clunky at first, but It’s never too late. EDGE- Where Leadership Begins is a Human Capital Consulting firm, focusing on three primary areas to help you achieve exponential growth. We can serve you in many ways, however our focus is in the areas of Talent Management, Organizational Development, and Leadership Development. For more information, visit our website www.whereleadershipbegins.com or contact us at 414-301-3343.